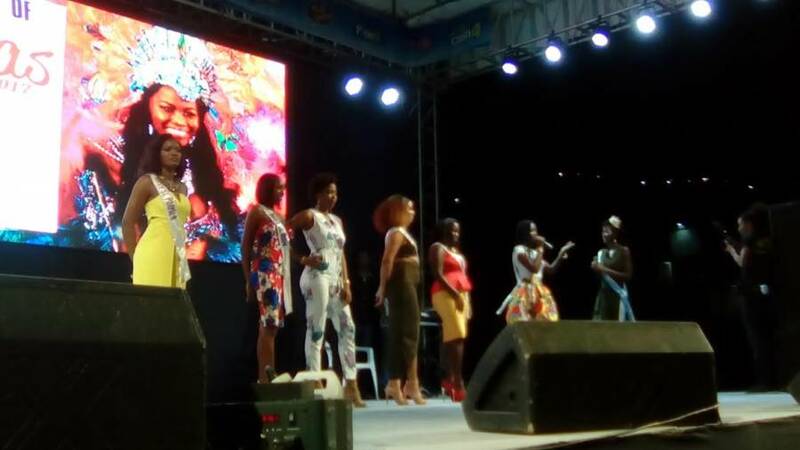 The 2017 National Queen Show will be staged in a new venue as part of measures being undertaken by the Spicemas Corporation (SMC) to reduce the cost of hosting the final show for this year’s carnival celebrations. Joslyn Sylvester-Gairy, Chairman of the SMC made the announcement last Saturday while delivering remarks at the launch of Spicemas 2017. “We will be making changes to ensure that you do have not just a spirit-filled carnival but that we really and truly deal with the issues of monies, and how we can at the end of it not go into the debt that we continue to go in from year to year,” she told the thousands who came out to participate in the launch of the celebrations at the Roy St John Playing field in Tanteen. One of the major venue changes will be the National Queen Show, normally held at the National Stadium. Over the years it has been experiencing reduced attendance with growing production costs. The 2016 National Queen Show realised income of EC$47,145 with a total expenditure of EC$177,457. Gairy said that the show will be held for the first time at the Spice Basket cultural and entertainment facility located in Beaulieu. By using that facility, it is expected that the SMC will save on production costs. During a recent news conference, SMC Chief Executive Officer Kirk Seetahal, explained that the corporation has an accumulative debt of EC$800,000 in its 5 years in operations, and new measures are being put in place to reduce and eliminate it. During last week’s sitting of the Senate, Brenda Hood Minister for Culture, with direct responsibility for Carnival, piloted a bill to amend the Spicemas legislation. This will provide for the corporation to charge a licence fee of varying costs, to all who will be having cultural events during the carnival period. The carnival period is defined as from the date of carnival launch until the second Wednesday in August. The licence fee will vary in cost. Failing to obtain a licence violates a mandatory law of land, with criminal charges and a penalty of a maximum of EC$50,000 or 2 years imprisonment.